From browsing the internet, to accessing social media, banking and shopping online, it is fair to say that our world has gone digital. Public expectations of how they interact with policing are changing. The public now expect us to have a significant online presence, with a similar level of functionality and ease of use to other services they access on a daily basis. While many advances in technology offer huge benefits on how people communicate and transact, digital or ‘cyber’ crimes have also increased significantly in recent years. In addition, the volume of digital evidence will only continue to increase. 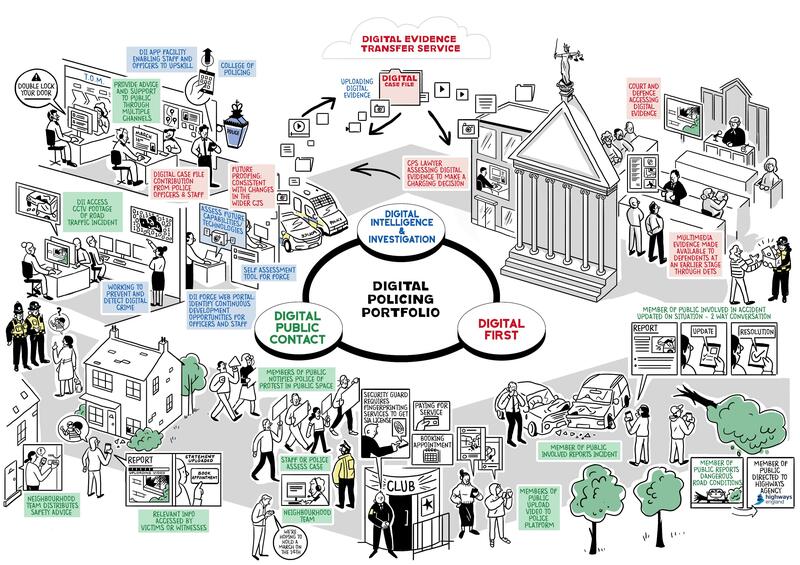 Policing has to adapt and respond to this changing digital environment to ensure that it can relentlessly pursue criminals, protect the vulnerable and reduce crime, wherever that occurs. To support the evolution of policing, enabling forces to respond and adapt to the increasingly digital world we live in.